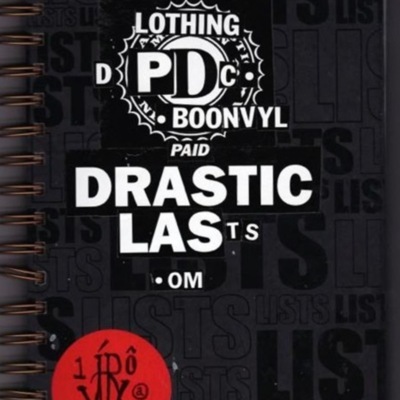 Front cover of a spiral-bound journal from 2010, featuring a "JR" monogram and a cut-up & recombined sticker for Drastic Plastic, a record store in Omaha, Nebraska. 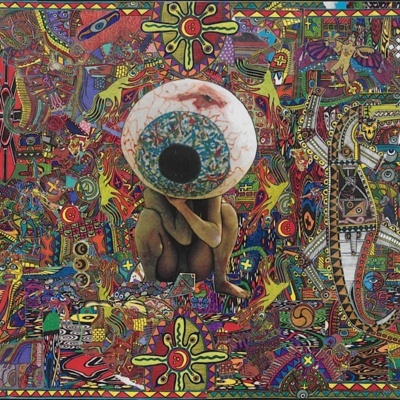 Front and back cover for a 2008 journal. 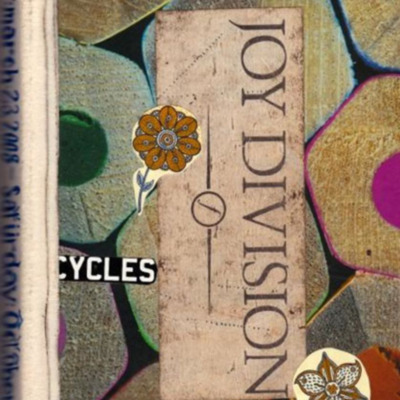 Front cover features a sticker of the band Joy Division. 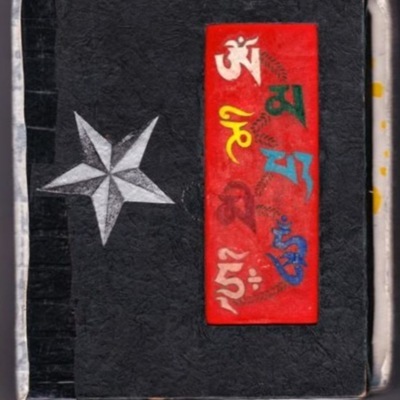 Front cover for journal, features sticker with Tibetan words "Om Ma Ni Padme Hum," a phrase Randall writes in Roman script in the item Om Ma Ni Pad Me Hum. 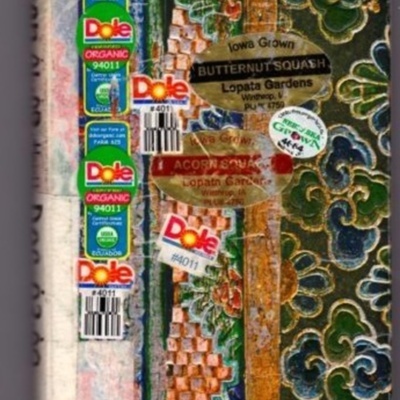 Back cover for journal, featuring fruit label stickers. 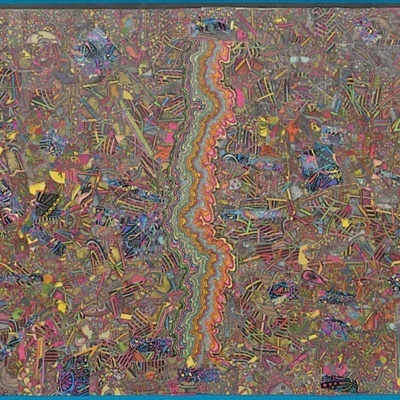 Front and back cover for journal. 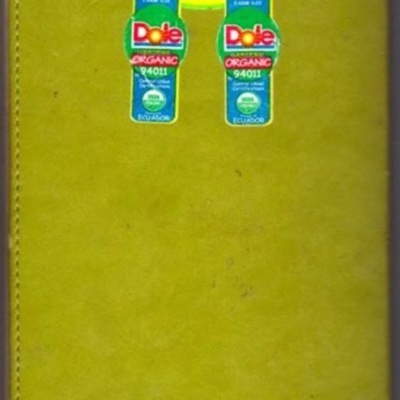 Front cover features various fruit and vegetable label stickers, back cover features a sticker of the band Velvet Underground. 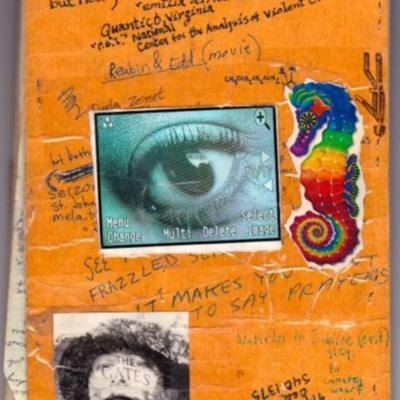 Front cover for journal. 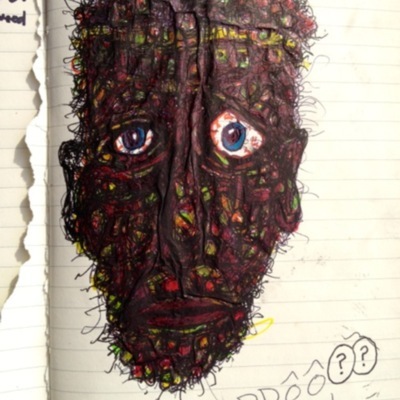 Features small studies for or references of forms found in Red Eyeball and Scratchboard One. 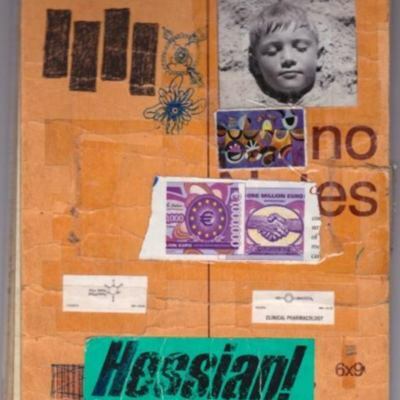 Covers, back and front, for journal.